Starting on December 3, Las Vegas Events and RFD-TV are teaming back up to bring you live coverage from the City of Lights. 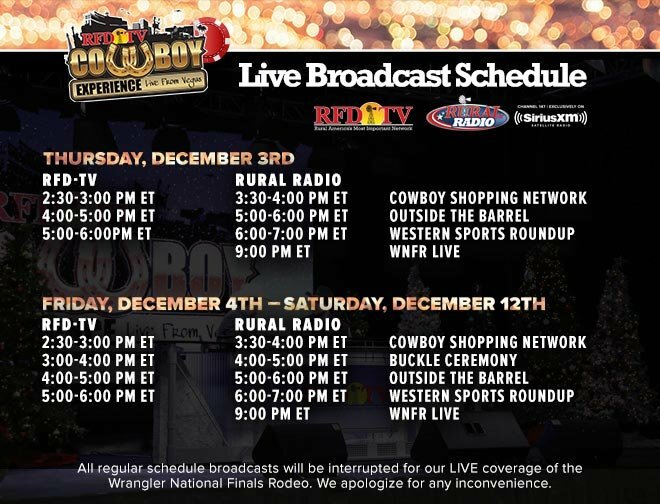 Broadcasting headquarters are located in Cowboy Christmas throughout the 10 days of the Wrangler National Finals Rodeo, which annually showcases the top 15 competitors in rodeo’s world standings in seven events. RFD-TV’s daily on-site shows include Western Sports Weekly and Flint Rasmussen’s Outside the Barrel – plus each night’s go-round buckle presentation! CLICK HERE FOR MORE INFO: Find out more about the Wrangler National Finals Rodeo - including tickets, hotels and more. 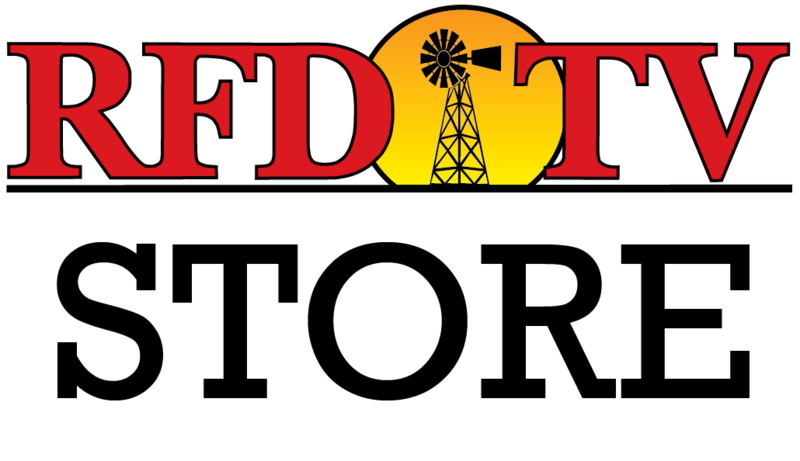 Daily features from the RFD-TV stage will include the Buckle Ceremony, Outside the Barrel with Flint Rasmussen, Western Sports Roundup with Steve Kenyon and Amy Wilson, Cowboy Shopping Network and more! Check back closer to the event to see RFD-TV's complete coverage of The Cowboy Experience. See photos and get complete WNFR results. Wayne Newton brags on Cowboy Experience attendees, Luke Perry talks about the staying power of “8 Seconds,” and a pair of team ropers receive their hard-earned – and well-deserved – buckles! Steve Kenyon speaks with barrel racing superstar Fallon Taylor. On Day 5 of the WNFR in Las Vegas, Nevada, Flint Rasmussen speaks with legendary bullfighter Miles Hare, and Steve Kenyon speaks with barrel racing superstar Fallon Taylor.